Do her a solid with this seamless, single-tone bra by Maidenform-decorated by a touch of ruching. 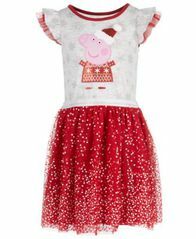 Peppa Pig shows of her holiday style on this adorable dress featuring a snowflake-print bodice and cute multi-color dot mesh skirt. 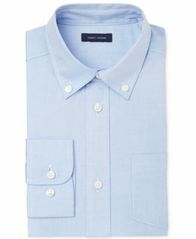 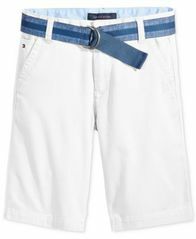 The perfect complement to his favorite dress shirt, Tommy Hilfiger's Alexander pants offer sophisticated style for young men. 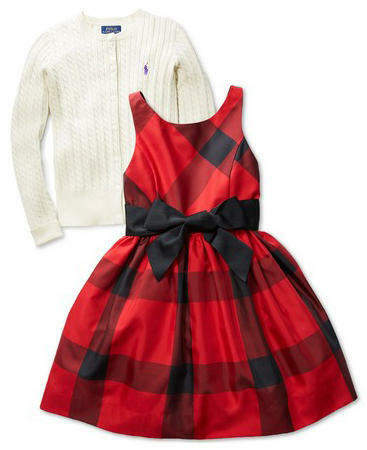 Colorful stripes add cheer to this sweet linen-look dress from Bonnie Jean, finished with pull-through ribbon and bow trim at the waist.